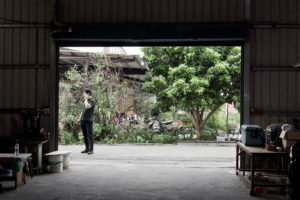 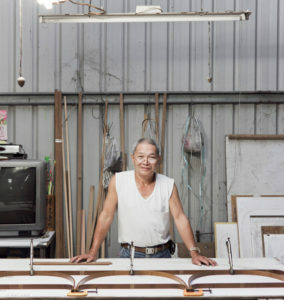 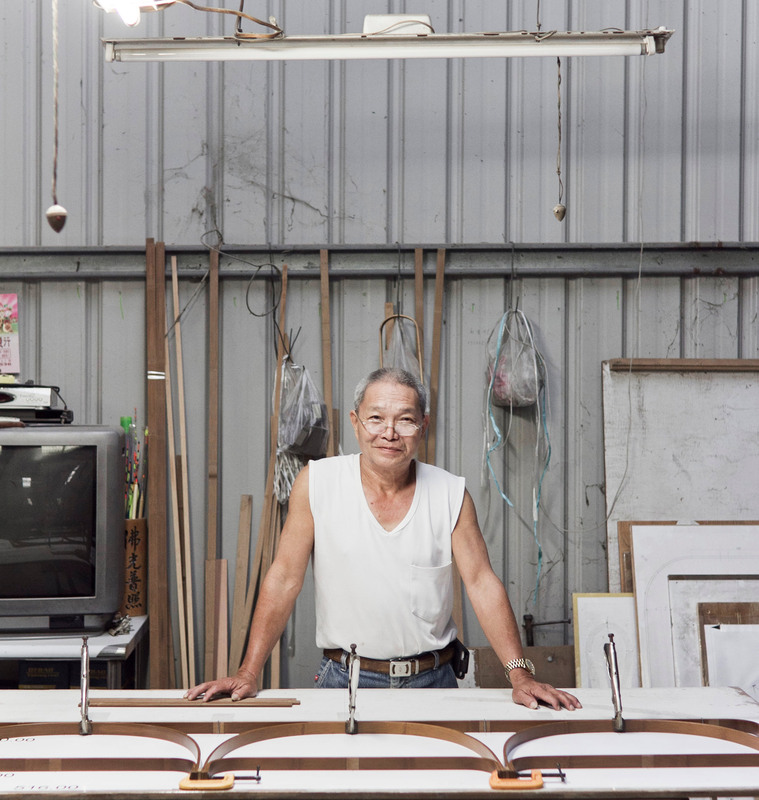 Travelling by car and by bus around the countryside while visiting various workshops in Taiwan, Herkner saw lot of bridges all over the country. He was amazed to find so many typologies of them : high bridges, low bridges, connecting areas… He was really fascinated by the shapes of these bridges, and by their density. 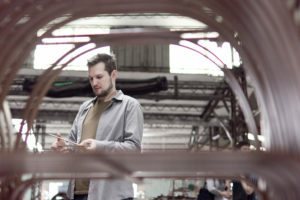 It is actually the topic of his design idea to work on bridges, or to translate the idea of the bridge connecting people, countryside, cultures and to bring this concept to life. 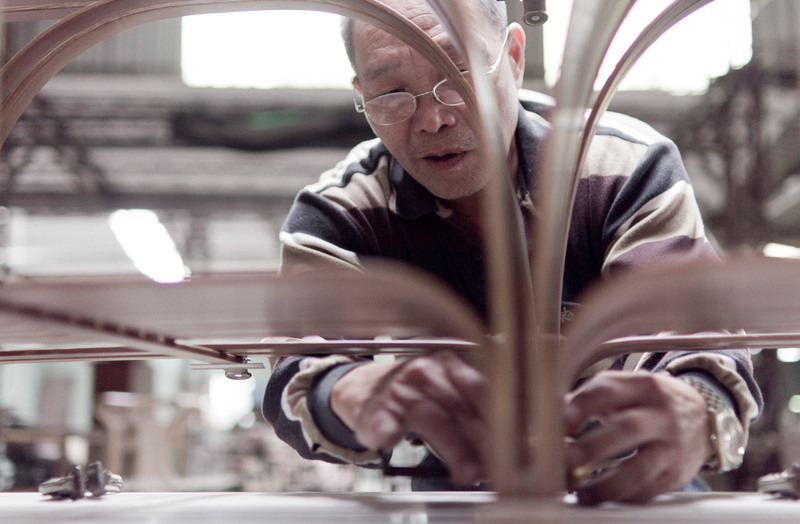 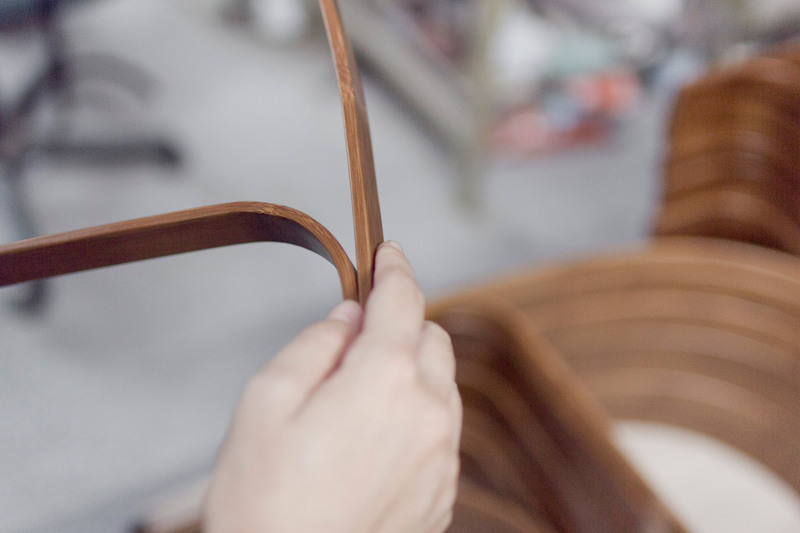 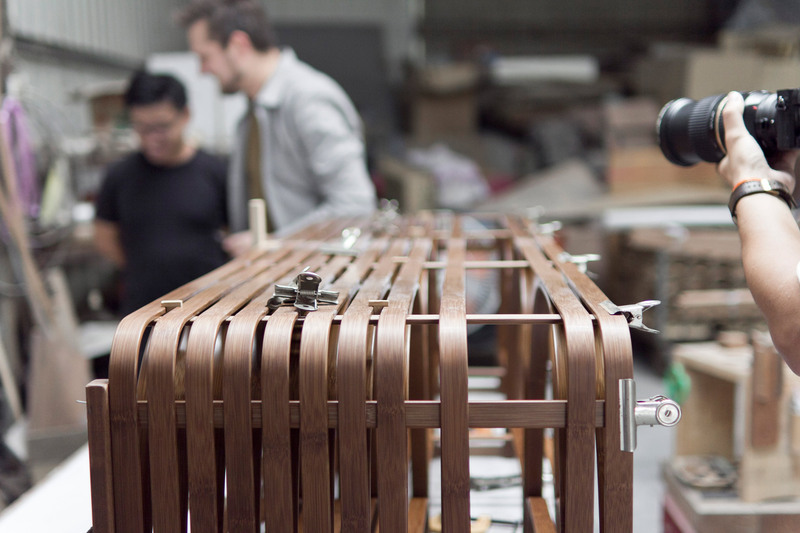 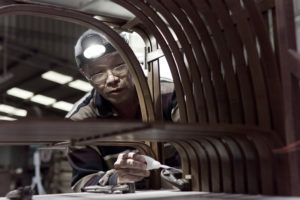 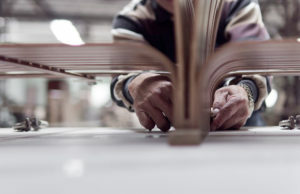 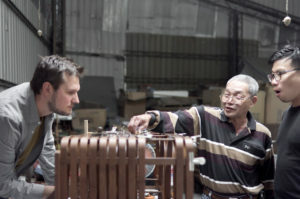 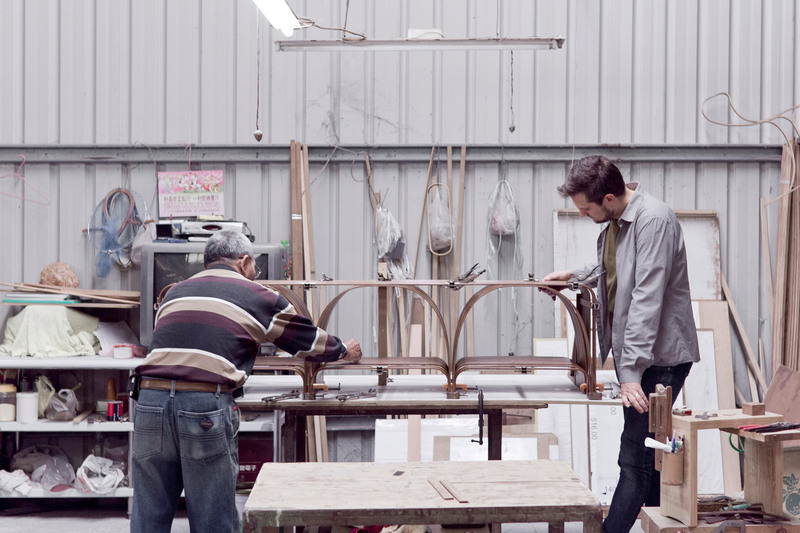 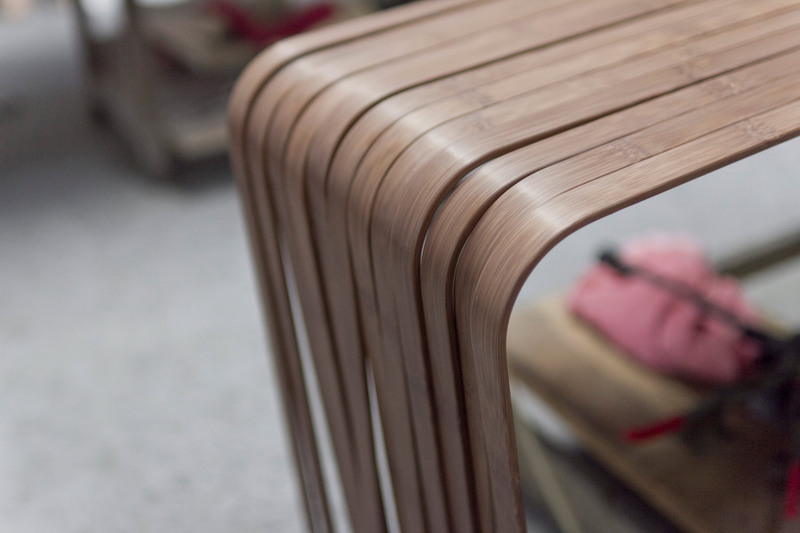 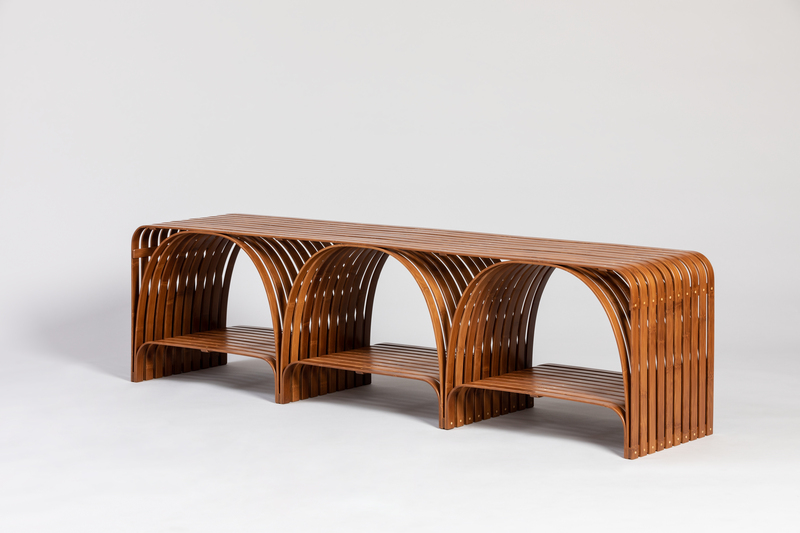 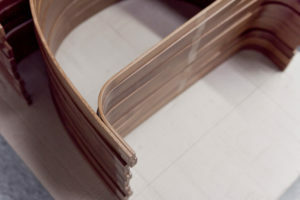 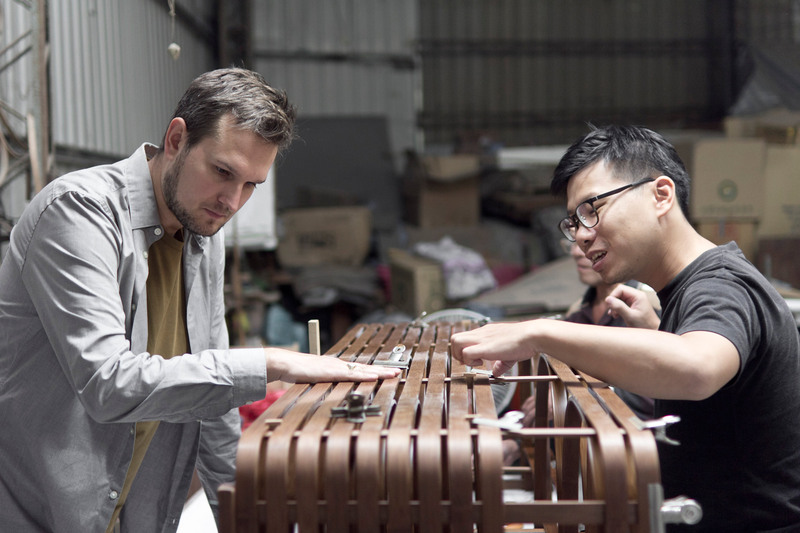 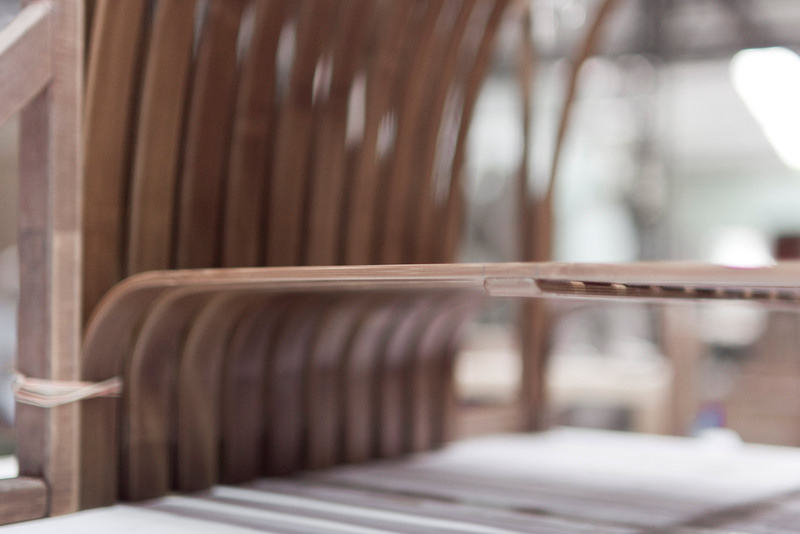 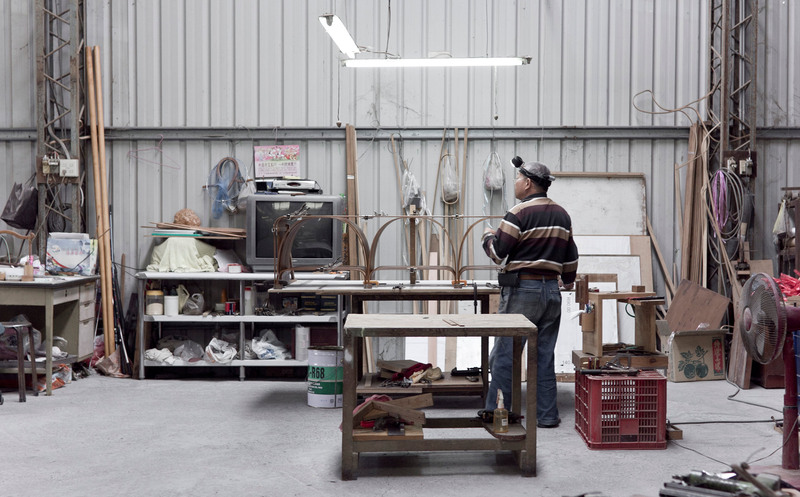 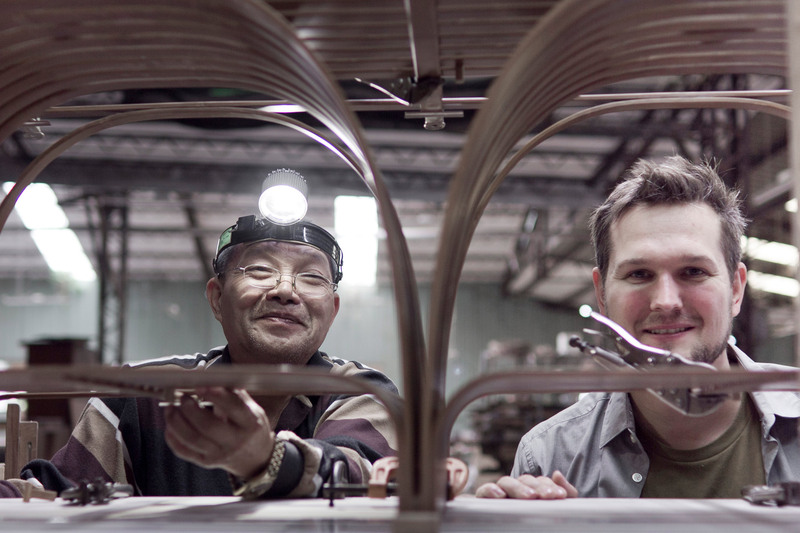 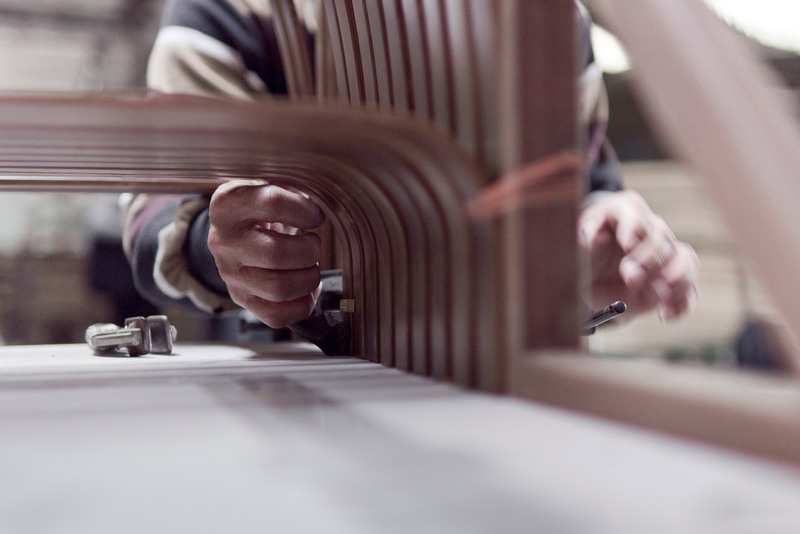 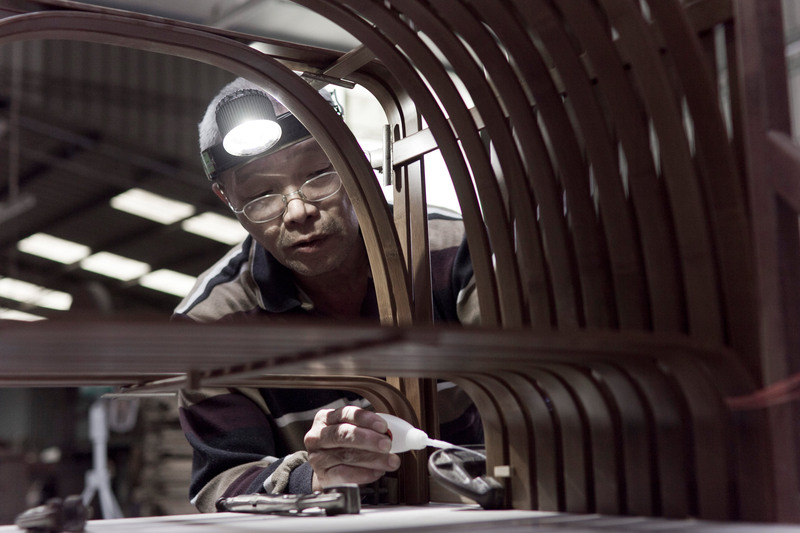 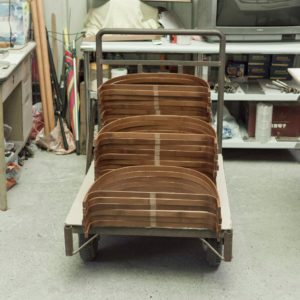 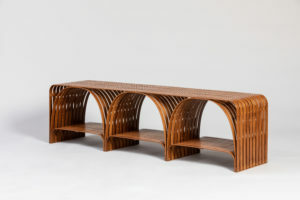 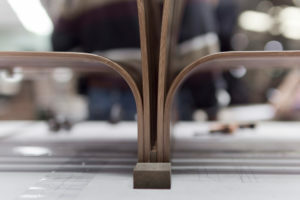 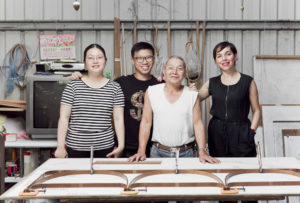 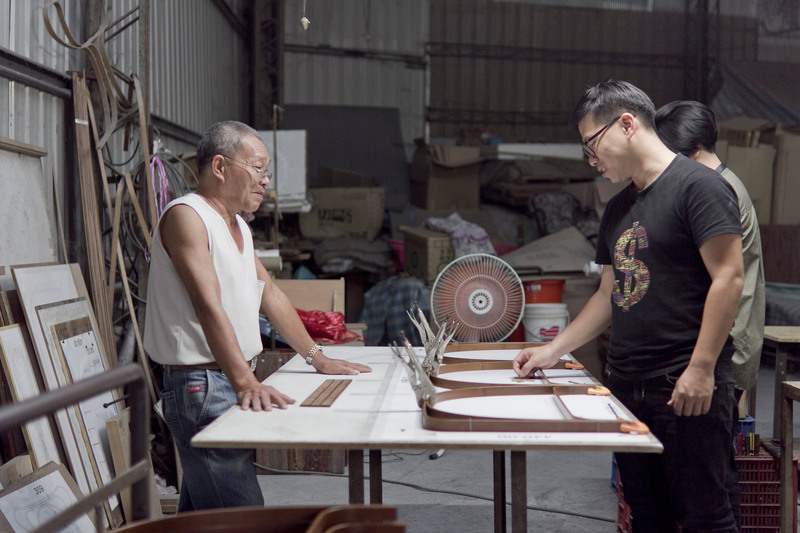 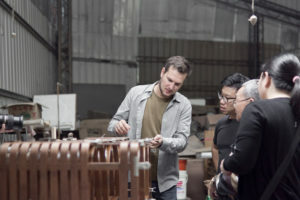 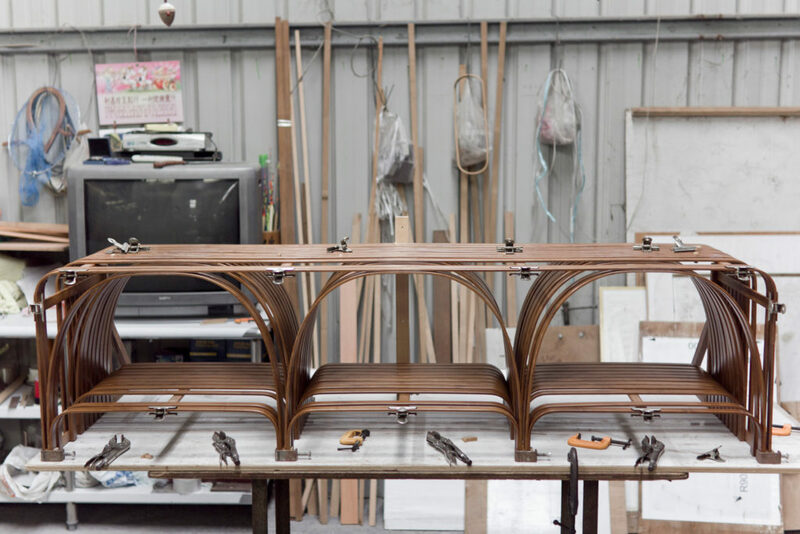 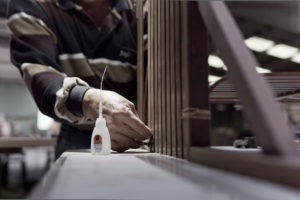 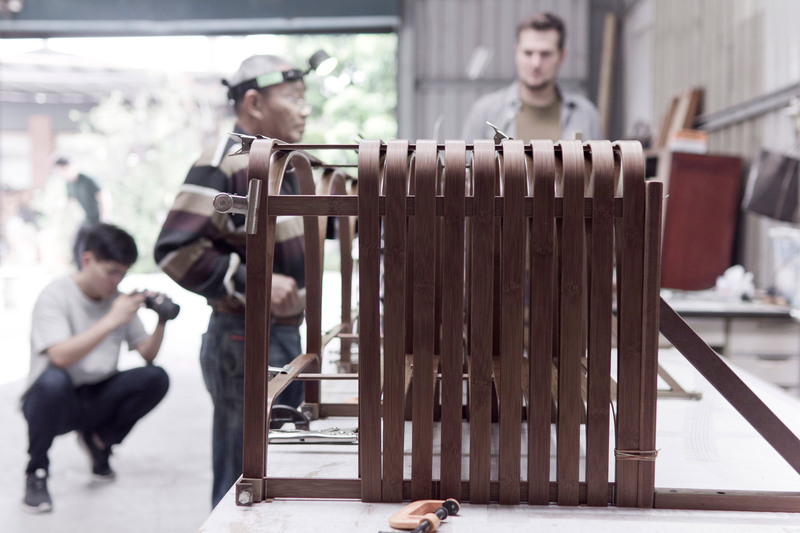 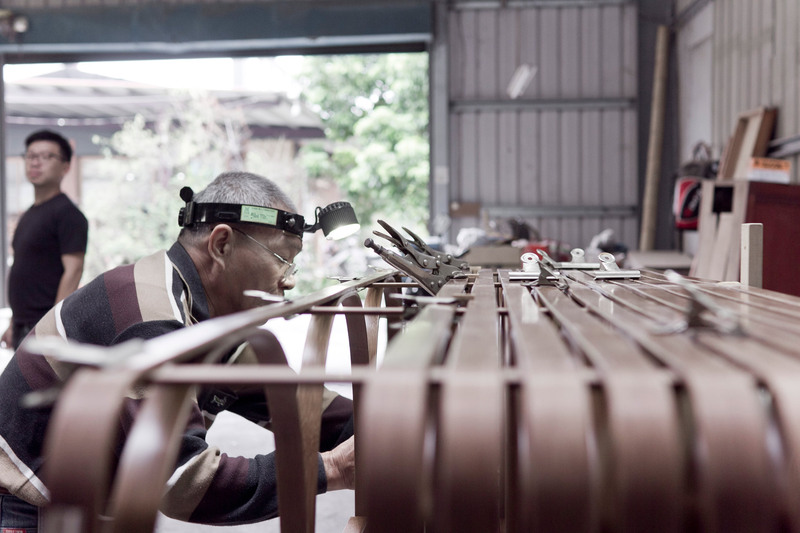 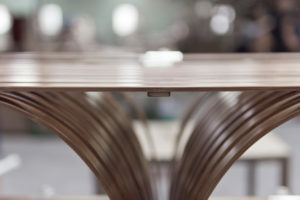 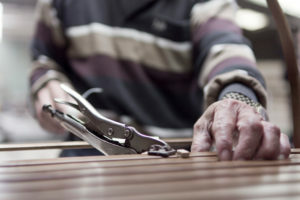 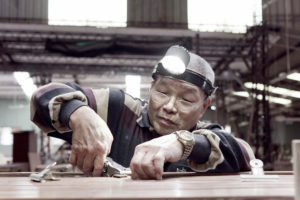 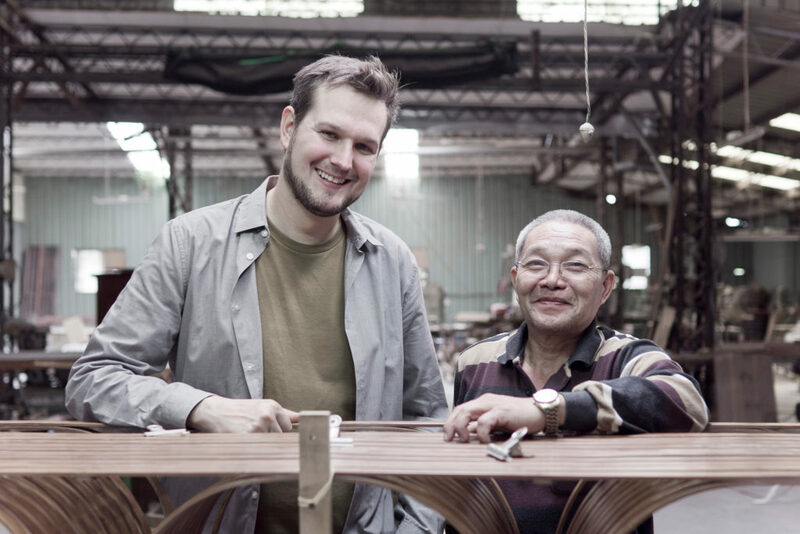 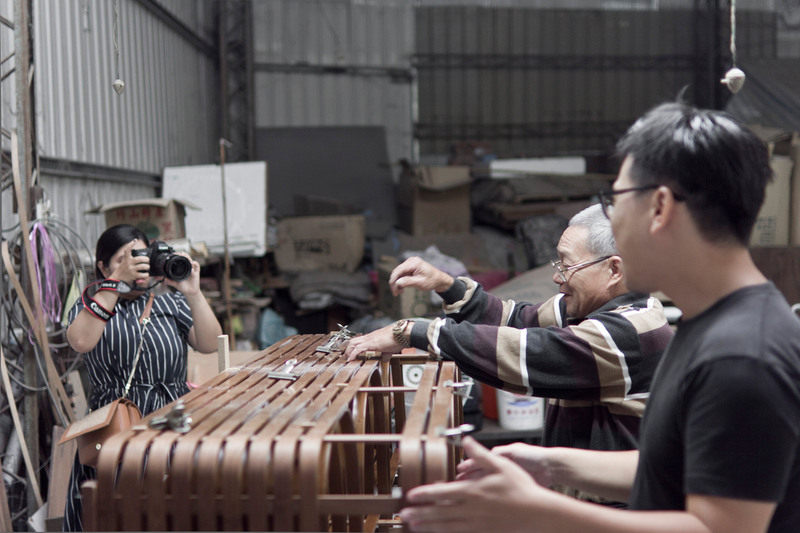 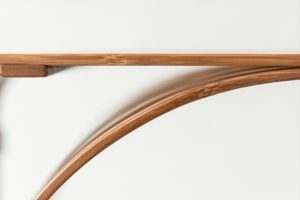 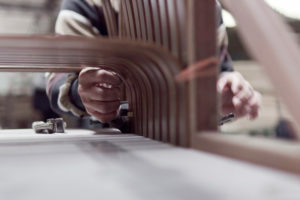 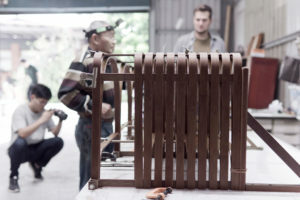 His co-creative design with the craftsman Ming An Wu consists of a bamboo bench which is inspired by the bridges and their arches, while connecting each single bamboo stripes and creating the perfect and harmonious bridge for your home. 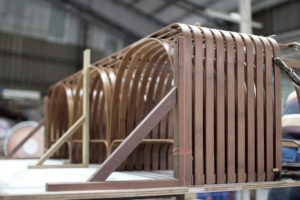 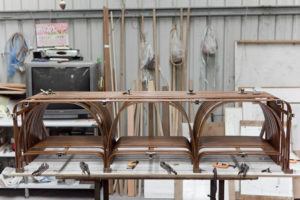 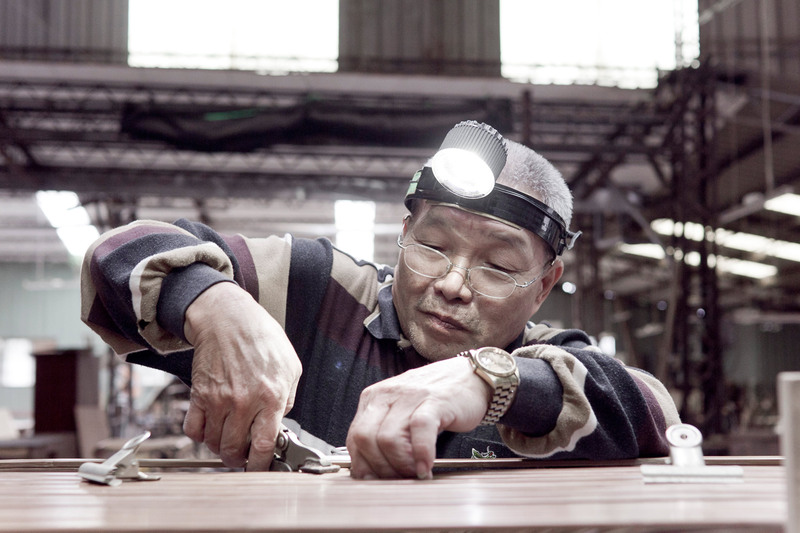 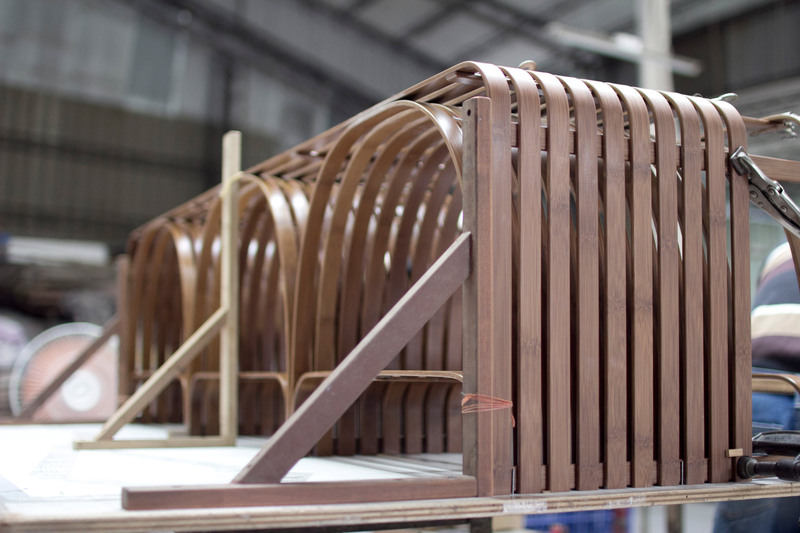 Herkner has also challenged the craftsman who has achieved his largest piece of furniture ever. 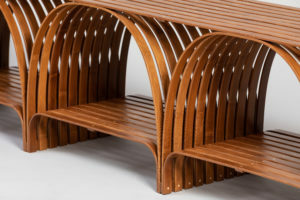 In one single row of a bench, people can sit and feel interconnected. 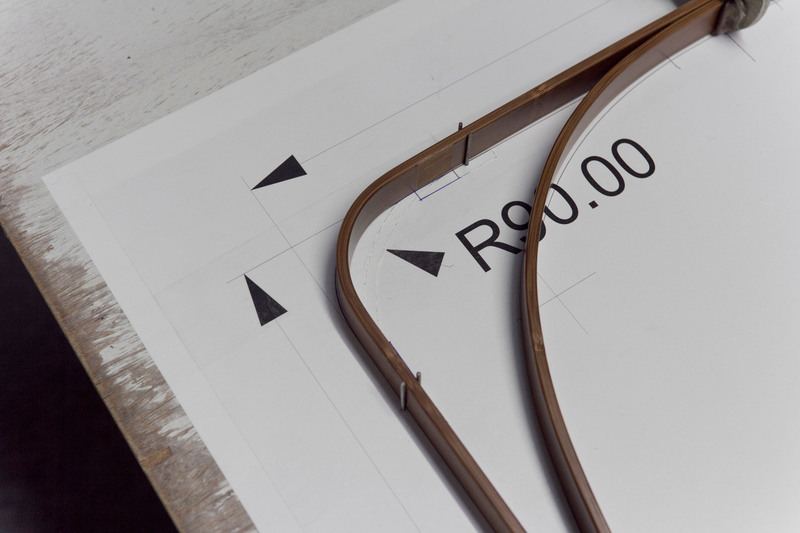 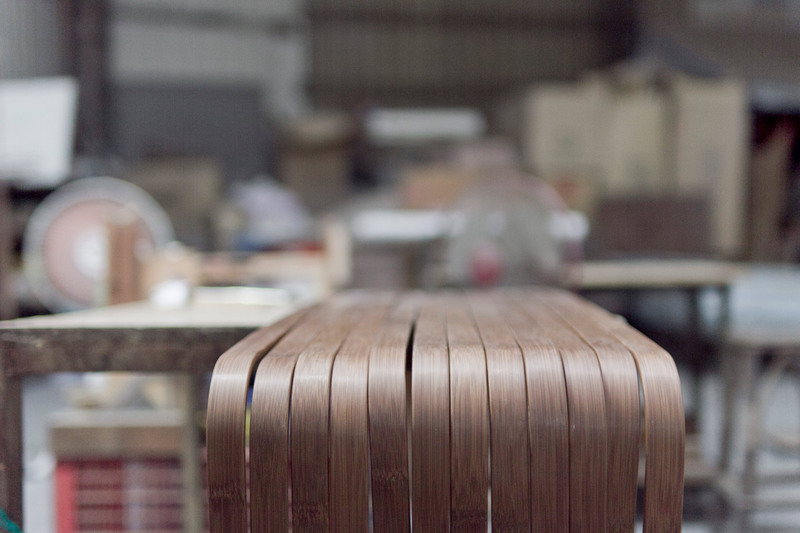 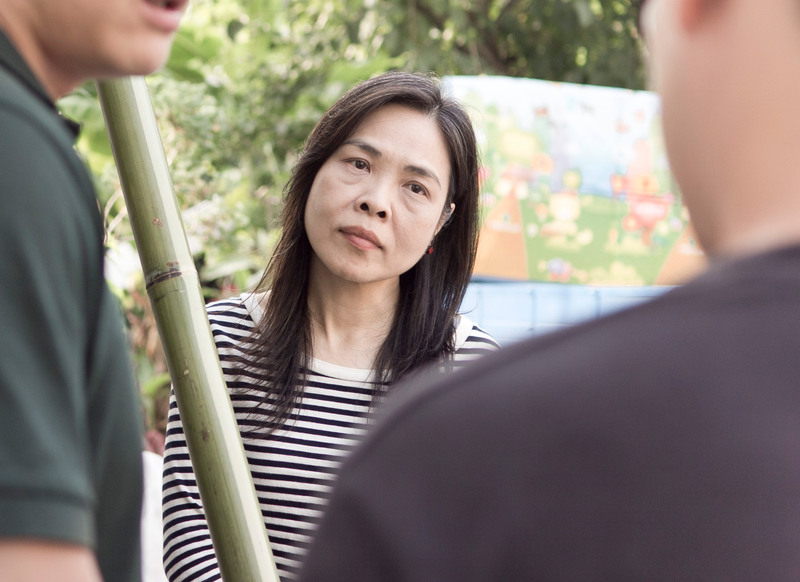 It has been quite challenging for the craftsman to find long bamboos: the bench is quite wide and this is the first bamboo project for which bamboo has not been laminated but applied in a handmade manner. 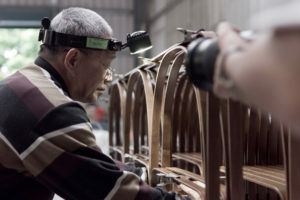 Normally bamboo is used in the form of tubes but here the slender pieces of bamboo are manually bended. 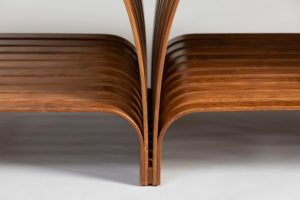 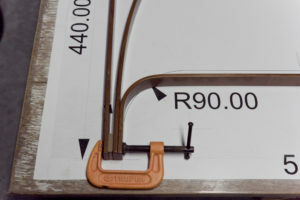 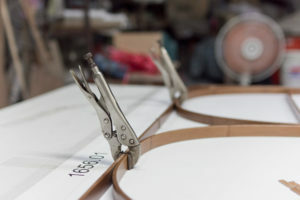 In that sense, there is maybe a bit dereference alter to steam bent furniture like you see it applied in Germany on the iconic Thonet chairs, for example, or on the traditional kovski armchairs. 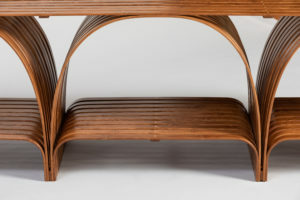 The Bridge Bamboo Bench has a height of 43 cm and is 160 cm long.